Be sure you choose the best Rhodiola rosea supplement, using our results and ratings! To answer these questions, ConsumerLab.com recently reviewed the evidence, and selected and tested popular rhodiola supplements to see whether they contained their expected amounts of rosavins and salidroside — key marker compounds which may also play a role in the herb's activity. Products made from herb powders (as opposed to extracts), were additionally tested to be sure they did not exceed contamination limits for lead, cadmium and arsenic. 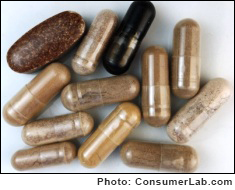 We discovered that two supplements failed to contain their expected amounts of key compounds. Fortunately, we also identified a number of products met high standards and contained exactly what they claimed. Among these we made two Top Picks.